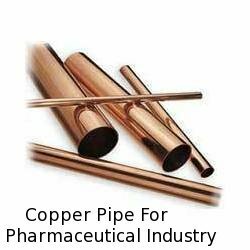 Pioneers in the industry, we offer copper pipe for pharmaceutical industry from India. Nandishwar steel is a manufacturer and exporter of Copper Pipe For Pharmaceutical Industry in India. We offer copper pipe from excellent cooper metal.